BUTUAN CITY, Aug. 9 (PIA) -- The Regional Forum on Climate Change Adaptation and Disaster Risk Reduction: A Collaboration Workshop for the Agusan River Basin is set to be conducted on August 23, 2012 at Almont Hotel's Inland Resort, this city. In a statement, Senator Loren Legarda, chairperson on Senate Committee on Climate Change and Regional Champion for Disaster Risk Reduction and Climate Change Adaptation for Asia-Pacific, said the collaboration workshop will bring together over 300 participants from contiguous local government units (LGUs) in the periphery of the 18 major river basins (MRBs) in the country consisting of 47 provinces. “It aims to provide a platform for cooperation in addressing the threats of disasters and climate change …. We hope that this workshop will help LGUs to be at the forefront, collaborate and plan their actions towards the attainment of an efficient river basin-based approach for disaster risk reduction and climate change adaptation,” said Legarda. The workshop will also be valuable to Legarda’s proposed Philippine River Basin Administration Act of 2012 as input to its strategic operationalization. Participants on the workshop already have a working knowledge on the basics of disaster risk reduction (DRR) and climate change adaptation (CCA), and there is a need to emphasize the need for collaboration among the LGUs in MRBs to efficiently address disaster and adaptation issues. The participants include the governors and vice governors; the chairman of the environment committee of the sanggunian panlalawigan from the provinces; the sangguniang kabataan (SK) provincial federation president; ABC provincial federation president; PDRMOs; private sector (NGOs, CSOs, business, local academic institutions, church representatives from the provinces); and members of the Regional Development Council of the region. Also, the proposed topics during the one-day workshop are divided into three modules, to wit: Module 1, Harmonizing Initiatives Towards DRR and CCA Mainstreaming in Local Governance; Module 2, Moving Forward Towards a Common Path; and Module 3, Defining the Roadmap for the River Basins: The Way Forward. The final module solicits the creation of a common action agenda among LGUs in the MRB. It also attempts to draft MRB’s management mechanism, structure, financing scheme, and monitoring and evaluation. SURIGAO DEL NORTE, Aug. 9 (PIA) -- Government and company officials have signed a memorandum of agreement with partner institutions to undertake an assessment of the seawater quality and coral condition in Barangay Urbiztondo, Claver town, this province. The partnership was formalized after Adnama Mining Resources, Inc. (AMRI), one of the mining companies currently operating the area, tapped the expertise of the University of San Carlos Water Resources Center Foundation, Inc. to embark on the assessment of the ambient water quality along the coastal area within the 10-kilometer radius of Barangay Urbiztondo and determine its general water classification as siltation and water discoloration in the area have been an issue for quite a long time. “Together with the province of Surigao del Norte, Mines and Geosciences Bureau (MGB) and Environmental Management Bureau (EMB-13), they will also assess the status of coral reef conditions along the areas and recommend measures to mitigate potential threats or scheme for rehabilitation and identify potential diving site for eco-tourism,” said AMRI Vice President for Legal Affairs lawyer Ulfredo Tuyac. Surigao del Norte Governor Sol Matugas acknowledged the effort of AMRI in pushing for the environmental agenda. Matugas said she has made strong headways in her environmental agenda mainly because of the support of the mining companies, without any strings attached but mainly keeping the shared commitment to give meaning and significance to responsible mining. BUTUAN CITY, Aug. 9 (PIA) -- The local government has conducted an outreach program 2,054 residents in the city. The ‘Programang Pangkatawhan, Gasa Pasalamat’ was organized by the Sangguniang Panlungsod, the Office of the Vice Mayor Mayor Lawrence “Law” Fortun, government agencies, private sector groups and non-governmental organizations. The outreach program has been implemented for almost five years now. This year’s program provided medical services, including eye, dental and blood pressure check-ups; blood tests, legal services and free haircut among others. BUTUAN CITY, Aug. 9 (PIA) -- The Sangguniang Panglungsod has approved the Watershed code of Butuan City. It is also called “An Ordinance Addressing the Protection, Conversation, Rehabilitation and Management of the Watersheds within the Jurisdiction of Butuan City, Creating the Watershed Management Council therefore, and for other purposes”. Principally authored by Vice Mayor Lawrence “Law” Fortun, the ordinance primarily aims to implement a comprehensive program that would protect, preserve, rehabilitate and rationally manage all the identified and soon to be identified watersheds in Butuan City. To date, only the Taguibo Watershed has been proclaimed by the Department of Environment and Natural Resources (DENR) as a source of water supply in the city of Butuan. However, explorations revealed that there are more watersheds existing in at least 14 barangays in the city. Through the measure, all watershed areas or conservation areas and agro-forestry/non-tillage areas is declared as environmentally critical areas which will prohibit anybody from 1) converting it to whatever classification; 2) conducting commercial tree farming not in conformance with the plans and programs related to reforestation, and/or watershed management plan; 3) perform water drilling except for household use; 4) hunting, destroying, disturbing or mere possession of any plant or animal or products derived there from without permit it from the Watershed Management Council; 5) dumping or disposing of any waste products detrimental to plants and animals and inhabitants thereon; 6) using of motorized and mechanical equipment that can adversely affect these areas without permit from the Watershed Management Council; 7) mutilating, defacing, destroying objects of natural beauty, burial grounds, religious sites, artifacts or other objects belonging to cultural communities; 8) damaging or destroying roads and trails; 9) squatting, mineral exploration or illegal occupation; 10) constructing or maintaining any kind of structures intended for the conduct of any business enterprise; 11) altering, removing, destroying or defacing boundary marks or signs; and 12) Exploitation of quarry resources and commercial sand and gravel resources. The ordinance also calls for the creation of a Watershed Management Council which shall have the primary task of the protection, preservation and management of all the watersheds in Butuan City and all watersheds that may be identified later by the council. It shall also create a Watershed Multipartite Monitoring Team which will be tasked to ensure the strict implementation of the said Code. Separate Management Councils will also be created in the different Barangays who are within the declared watersheds under the code. BUTUAN CITY, Agosto 9 (PIA) -- Pangungunahan ng Department of Trade and Industry (DTI) ang libreng pamimigay ng Import Commodity Clearance (ICC) na ilalagay sa mga helmet ng mga motorista hanggang Setyembre 30, 2012. Nakasaad sa Republic Act 10054 o “Motorcycle helmet Act of 2009” ang kautusan sa paggamit ng mga motorista ng standard protective motorcycle helmets kung sila ay nagmamaneho. Ayon kay DTI-Agusan del Norte Provincial Director Gay Tidalgo, ang mga nagmamay-ari ng mga motor ay kailangang magpunta sa pinakamalapit na tanggapan ng DTI upang ipasa ang kanilang helmets para sa inspeksyon at balidasyon, pati na ang paglalagay ng mga ICC stickers sa helmet. Kinakailangan ding magdala ang mga aplikante ng isang government-issued ID, gaya ng driver’s license. Idinagdag din ng opisyal na ang mga aplikante ay maaaring kumuha ng application form sa tanggapan ng DTI o i-download ang form sa DTI-Bureau of Product Standards’ (BPS) weblink, www.bps.dti.gov.ph/downloableforms.html. 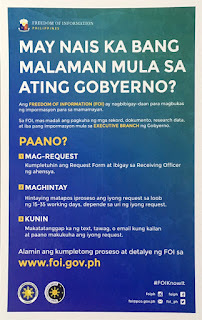 MANILA, Agosto 9 (PIA) -- Binigyan diin ni Pangulong Aquino ang papel ng lokal na pamahalaan sa pagbibigay ng tulong sa publiko sa panahon ng kalamidad kagaya ng pagbaha. “Alam niyo po napakalaking bagay kapag merong ganitong mga trahedya, malaking bagay ang lokal na pamahalaan,” ani Pangulo Aquino. “Siyempre sila ang unang nasa lugar, sila ang unang reresponde,” dagdag ng Pangulo. Pinuri naman ng Pangulo si Quezon City Mayor Herbert Bautista, Vice Mayor Joy Belmonte at Representative Winston Castelo dahil sa mabilis na aksyon na kanilang ginawa sa mga lugar na lubhang naapektuhan ng pagbaha. SURIGAO CITY, Agosto 9 (PIA) -- Gianunsyo sa Malacañang nga mibalik na ang trabaho kagahapong adlawa, Agosto 8, 2012, sa nasyunal nga mga opisina sa gobyerno ug pribadong sektor, matud sa opisyales sa palasyo kagahapon Miyerkules. 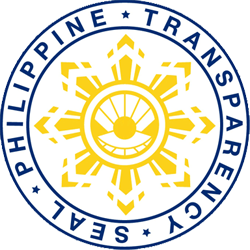 "On the basis of the best available information at the present time, and the recommendation and the forecast of Pagasa (Philippine Atmospheric, Geophysical and Astronomical Services Administration), the Office of the President will not issue a memorandum circular suspending work for government or the private sector today, August 8," matud ni Presidential Spokesperson Edwin Lacierda sa iyang pamahayag. Matud pa ni Lacierda nga ang deklarasyon sa pipila ka mga national agencies, sama sa Commission on Audit, nga suspendido pa ang trabaho kagahapon, ug kadtong mga anunsyo nga gihimo sa mga lokal nga pangagamhanan kalabot na sa suspensyon sa trabaho ug mga klase sa ilang hurisdiksyon, magpabilin pa gihapon. "Occasional intense rainfall has been observed from 8 p.m. last night (Aug 7) to 1 a.m. today (Aug 8), but it is projected to lessen within the day. Even as the situation remains of concern for so many citizens affected by the rain and flooding, it is imperative that we begin returning to normalcy as soon as possible," si Lacierda nagkanayon. "This requires government workers to report to their offices to continue, and accelerate, efforts at rescue, relief, and rehabilitation. The private sector, too, needs to return to work. Goods and services must resume so as to speed up the repair of damaged infrastructure, the circulation of goods and supplies throughout the metropolitan area and other affected regions," matud niya. Giawhag ni Lacierda ang katawhan nga magbilin nga alerto ug mabinantayon sa mga pahimangno gikan sa mga awtoridad kalabot na sa dili mayong panahon. SURIGAO CITY, Agosto 9 (PIA) -- Himoon sa gobyerno ang nagkalain-laing mga pamaagi aron masulbad ang problema sa paglabog og basura dinhi sa nasod nga maoy sagad hinungdan sa nagkagrabe nga pagbaha labi na didto sa kaulohan, matud ni Pangulong Aquino.